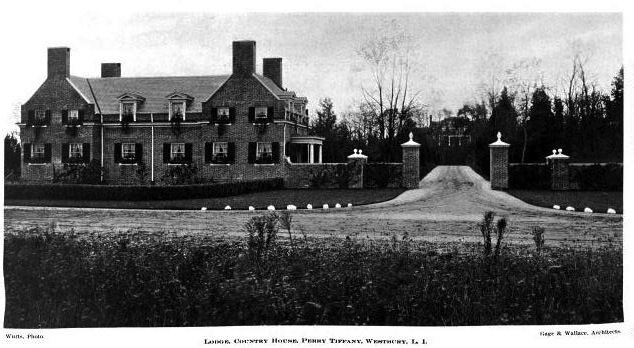 'Ivycroft', originally the Perry Tiffany estate designed by Gage & Wallace c. 1891 in Old Westbury. 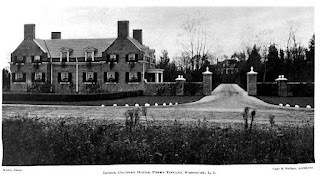 The estate was sold to William Gray Park in 1892 and remained in the Park family until 1920 when it was sold to Harry Payne Bingham. In 1925 Bingham sold the estate to Eliot Cross of Cross & Cross. Click HERE to see the brochure from when 'Ivycroft' was for sale and HERE to see current listing photos as the house is again for sale. So the gate lodge and the stables are still extant but now separate residences no longer associated with the property? An unfortunate ghost of it's former glory. It is curious that previous owners reduced the size by removing an entire wing leaving it very lopsided rather than removing the added extensions from both ends and returning the house to its original size and symetrical configuration. 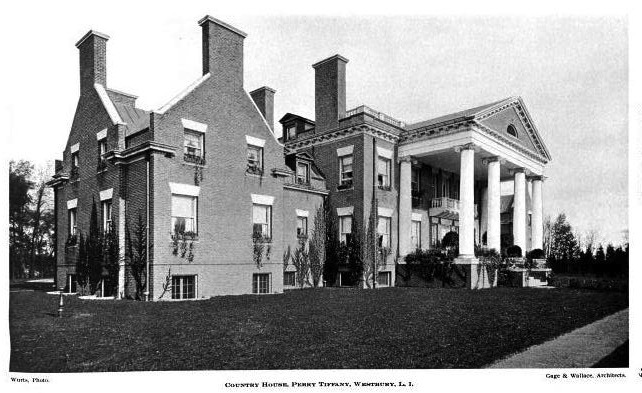 The loss of the garden portico is also regrettable, but IMO the front, as shown in the original sales brochure, is more attractive without the former entry porch. I agree with others that the window choice seems odd and underwhelming. What is the liklihood a a buyer patient enough to breathe life back into this forlorn pile? I meant - What is the liklihood there will be a buyer patient enough to breathe life back into this forlorn pile? 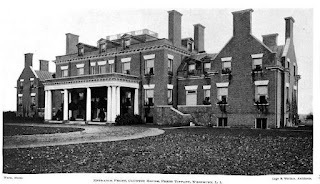 I've been idly calculating what it would cost to restore this house to something of its former appearance, as well as redoing the bathrooms, kitchen and utilities. Plus landscaping. Plus architectural fees. At the end of all that, I think you'd be several millions beyond the actual market value of the house. There are not so many true Famous Lady Decorators anymore, but I am presuming that The Ancient would not limit the recommendation to only those born female. Hey, I meant it facetiously. I must admit that, despite some lovely interiors, this is one house I have just never warmed to. Edit for above. Meant to say gatehouse. Actually, the house, even as it is, has no problems that divided light window sash and some well made shutters can't fix, and the interiors are extremely handsome, and have good flow---and an offset service wing is hardly an anamoly. Being one of those shallow people who do not judge by appearances, I see no reason to assume that the parsimony and neglect which is reflected in the exterior and the grounds doesn't also extend to the interior. We see on the realtor's site only a few public rooms. This isn't just a house that needs a facelift. This sad looking, lopsided, mutilated home will thank its next owner who will surely put an end to its current misery with one swing of the wrecking ball. The loss of symmetry, porticos, main roofline, chimneys and any dignity it once had will certainly doom this home. It also sits smack in the center of the property spoiling any number of bland subdivision layouts from being super imposed on the land. When a real estate doesnt even show photos of the kitchen or baths you know the place is an outdated mess. So the new clueless buyer with deep pockets and no taste will contact an OW developer and together they will build six maybe seven, 3.5 to 5.5 million dollar dryvit covered chateaus and haciendas. In this case, it will be a blessing. Now let me say something positive. For the right person, 3500 a month for the converted gatehouse seems like a very good deal.